Sir Walter Raleigh. The History of the World. 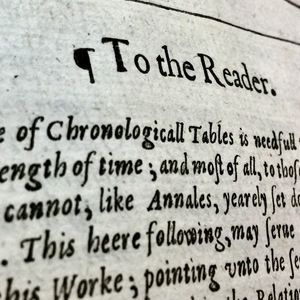 Walter Burre, 1614, London. 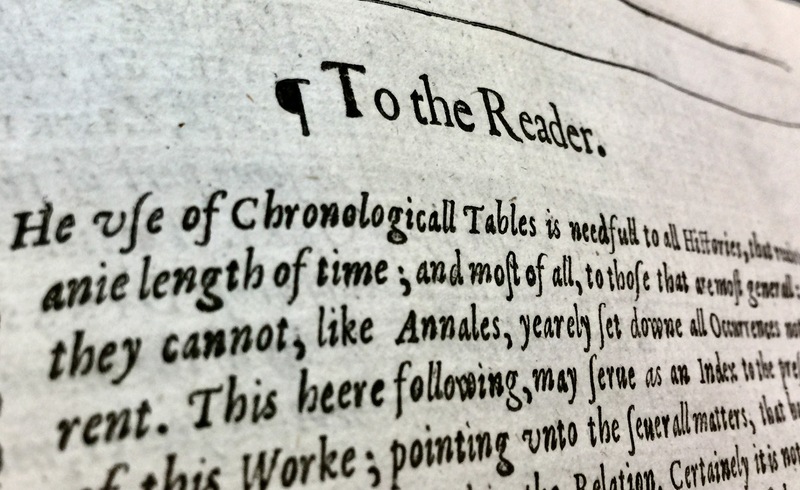 Sir Walter Ralegh, William Stansby, “Header of "To The Reader" Page in Sir Walter Ralegh's History of the World,” UVic Libraries Omeka Classic, accessed April 21, 2019, http://omeka.library.uvic.ca/items/show/1495.